Al Green Sings – Doris Dawn – Mature Model. Ruddy Adam and his new music blog post. Mine and E.’s dear, late friend S. introduced me to Al Green. I was surprised at his voice and talent. Al’s musical hero was Elvis Presley, as was Otis Redding’s. You may notice that these facts are quite the opposite of what the American media tell us. Elvis was Al and Otis’ hero. Elvis’s were two different Gospel Quartets. Al’s favorite music was Blues, and his first recordings were Blues songs. He, however, found himself in the “soul songs” he recorded with a series of great songs in the early `70s. Raised on old-style black spirituals, you can hear those in his music, as well as see Elvis and Otis. I asked E. to describe Al to some friends back in the 1970s, and I’ll never forget what she said, only one word: “Smooth.” So true. I think those of you who like to hear certain musical ranges (most of you have heard Al) will enjoy his slide up and down within the tenor range. I’d say he stays in mid-tenor yet often rises to falsetto. The first one was a great hit, having sold millions of records and giving Al a load of deserved rewards. The others are a few of his best. Enjoy! “Let’s Stay Together” Al Green (4:00) Live. This one will get granny to moving. It always reminded me of some of Otis Redding’s jumpin’ songs. “Take Me to the River” Al Green (5:00) Live & Raw! “Love and Happiness” Al Green (3:15) Live & Raw! “For the Good Times” Al Green (6:00) Studio version. 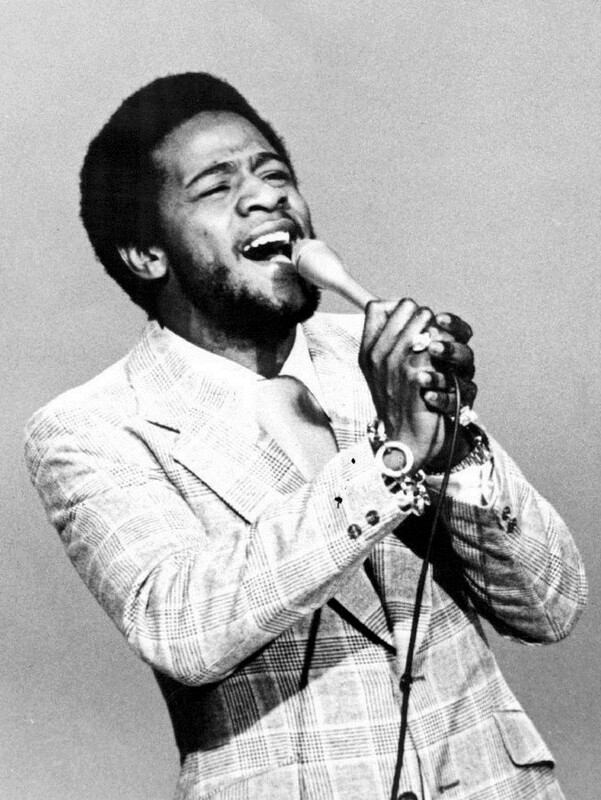 Photo of singer Al Green from an appearance on the Mike Douglas Show.